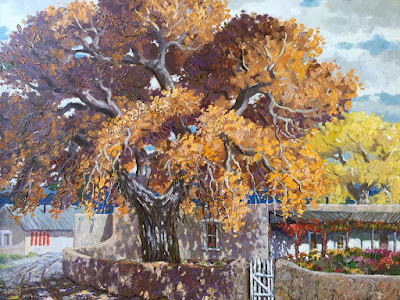 "New Mexico Village" "New Mexican Chapel"
"October, New Mexico" "In the Pecos"
24" x 30" oil on canvas Oil on panel, 11 1/2" x 15 1/2"
Oil on canvas, 24.12" x 36" Oil on canvas, 26" x 36"
"The Winter" "Early Snow Placitas"
Ben Turner studied under the great Taos Master Ernest Blumenschein. 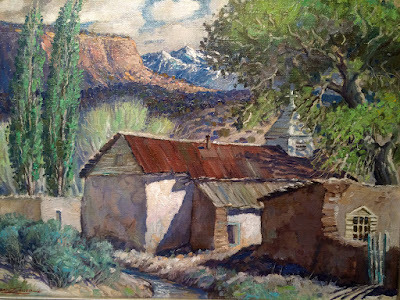 Ben Turner, whose ancestor was the painter Joseph Mallord William Turner (1775-1851), was born in 1912 in Gallup, New Mexico. 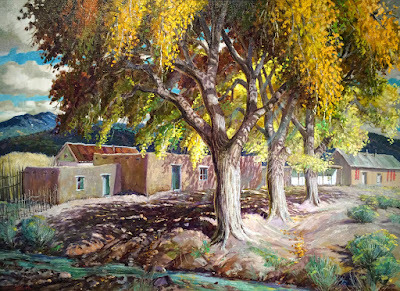 He demonstrated artistic talent as a youth and went on to study at the University of New Mexico and the Art Institute of Chicago. His works included the comics "Jerry n Jake" which were featured in more than 48 southwestern newspapers. were shown in Life and Look magazines, where he was a featured artist. 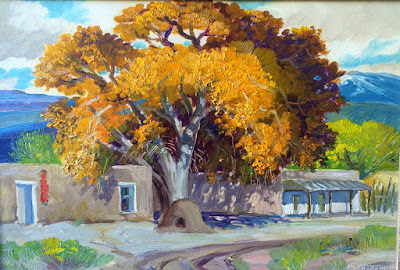 He studied in Taos under Eanger Couse, Ernest Blumenschein, Victor Higgins and Joseph Henry Sharp. 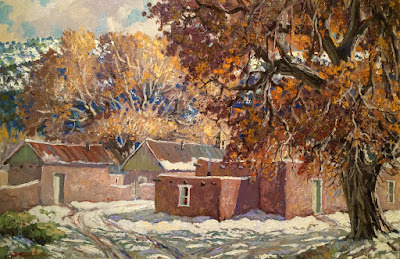 He created many beautiful peaceful oil paint landscapes depicting aspens, cottonwoods and adobes. 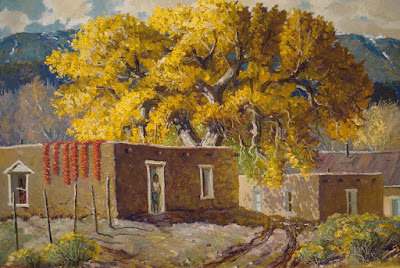 He worked from his studios in Santa Fe and Taos, New Mexico; Redstone, Colorado; and Mazatlan, Mexico. He died at Mazatlan on February 3, 1966. 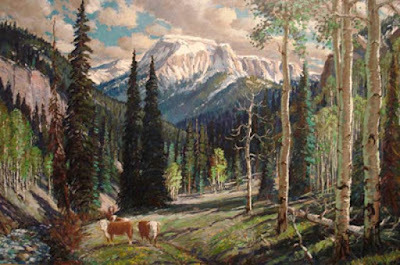 Parsons does not offer Ben Turner prints, because no print can compare to the real paintings. 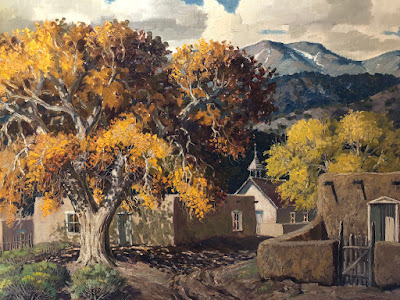 "Aspen Mountain Stream" Oil on Canvas 26" x 34"
"Adobe and Cottonwood" Oil on Canvas Board circa 1930 10" x 14"
"Coming Home" Oil on Canvas 26" x 36"
"Fall Harvest" Oil on Canvas circa 1940 18" x 22"
"New Mexico Hacienda" Oil on Canvas 26" x 36"
"New Mexico Morada" Oil on Canvas Panel Circa 1920-30 14" x 17"
"Santa Fe Winter" Oil on Canvas circa 1940 16" x 22"
"Taos Trees" Oil on Canvas circa1950s 22" x 30"